AM Band antenna offers high sensitivity and narrow bandwidth across the full AM band. Ideal for receiving your one favorite AM station that is otherwise hard to hear. 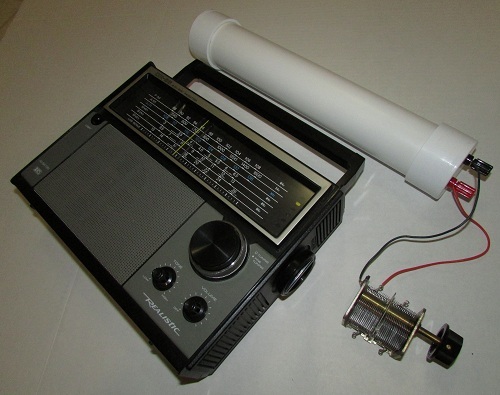 Part Number: 6AM55BC is an AM broadcast band antenna for 530 KHz - 1700 KHz, and can be user tuned with external variable capacitor user supplies. Or just tune it up and place it near your AM radio's built-in bar core for- greatly- increased reception. 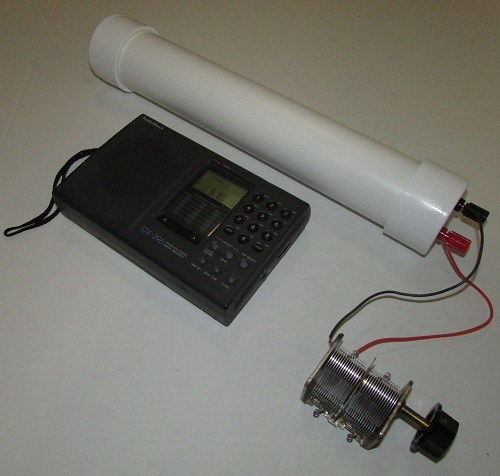 1 or 2 turns of wire wrapped around the center of the antenna for output coupling gives a 50 ohm match. Add more turns to match higher Z if needed. Specification: (+/- 10 %), 410 pF tunes @ 530 KHz, 40 pF tunes @ 1700 KHz. NOTE: 6AM55BC Antennas are 9 inches long. NOTE: These antennas are bi-directional having a 'figure 8' pattern, to allow you to null interference from stations on the same channel, but located in different directions. 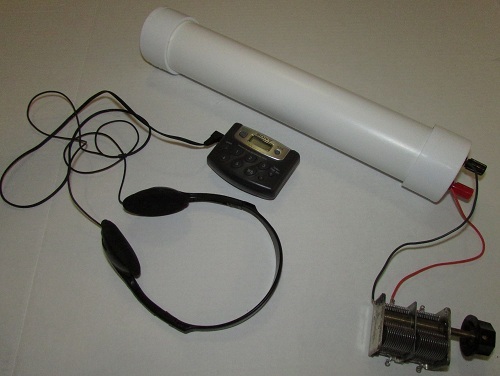 Works with all types of AM Radios Greatly boost reception! 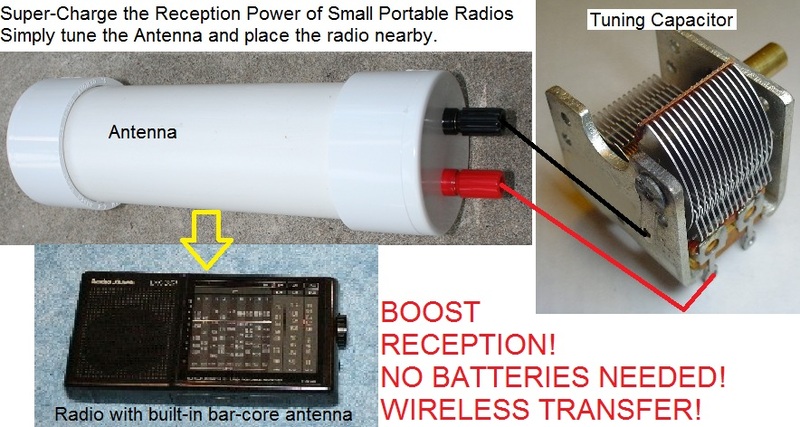 Simply tune the antenna and place the radio nearby for signal transfer to the radio's built-in barcore antenna element. 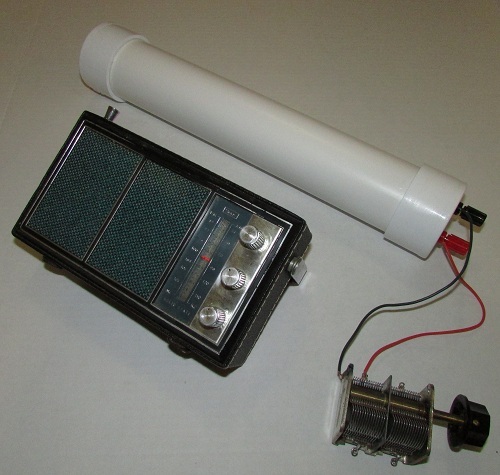 Bring back receiving power to your antique AM - Long Wave radios! 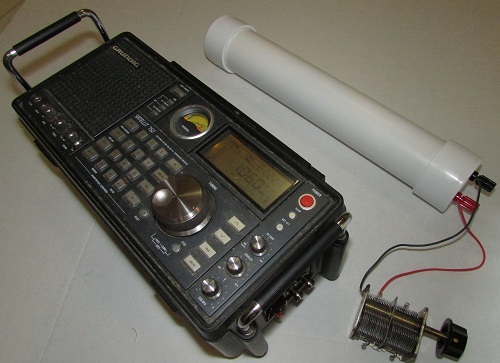 No wire connection or modification needed, simply place the radio near the tuned antenna for greatly increased signal strength. No batteries needed. 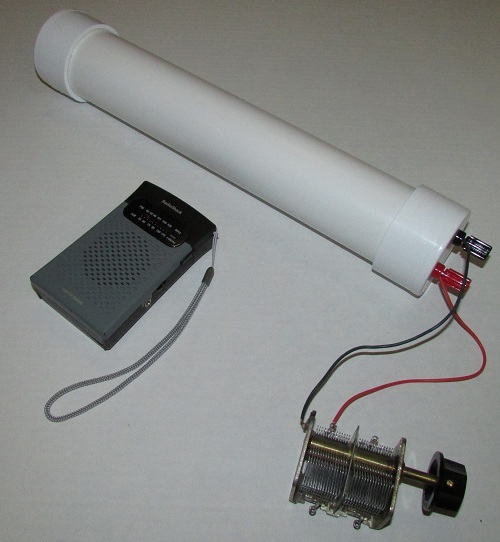 The tuned antenna captures the radio waves and transfers them to your radio's built-in barcore antenna. For 50 ohm match wrap 1 or 2 turns around the tuned up antenna. For 300 ohm match wind 6 or 7 turns around the center of the tuned antenna.